Home » News » Shootings at YouTube Headquarters, What Happened? Shootings at YouTube Headquarters, What Happened? On Tuesday (4/3) YouTube headquarters in San Bruno, California, USA was attacked by a woman who fired a shot from a gun. San Bruno County Police confirmed that the shooter did not know the victim. This information at the same time rectifies the previous news stating that one of the victims is the lover of the perpetrator. The perpetrator himself was identified as a 39-year-old woman from San Diego named Nasim Aghdam. The perpetrators were found lifeless in the area around the YouTube complex due to suicide gunfire. Agdham himself was an animal activist who had participated in a protest organized by the People for the Ethical Treatment of Animals (PETA) in 2009. Aghdam is also a YouTuber who uploads videos on various topics. 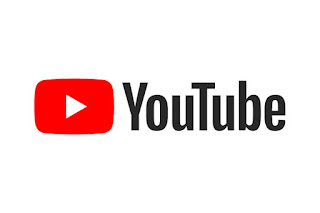 In a video show uploaded in January, he accused YouTube of discriminatory acts by filtering out his content that affected the low number of video viewers of his work. He also had time to write a number of uneg-uneg to expose his anger against the video sharing sites. According to the authorities, in the incident, Aghdam fired a shot at a YouTube employee who was eating lunch. The shot injured a 36-year-old man who is now in critical condition. The other victims were two women aged 32 and 27 years old. The first male victim was found unconscious on the front of the headquarters from YouTube. Two other victims were found in another nearby location. A fast food clerk, Fox station stated that he had treated a young woman who suffered a gunshot wound to her leg. The three wounded were then rushed to San Francisco's Zuckerberg General Hospital. According to the authorities, a 32-year-old female victim is in serious condition. While the 27-year-old woman in a stable state. The fourth victim was an ankle injury who tried to escape when the incident took place. At the headquarters of the world's largest video sharing site there are about 1,700 employees working for the company also owned by the search engine giant, Google. 0 Response to "Shootings at YouTube Headquarters, What Happened?"